Look at the underside of TerrAdent's Replacement Head. Our unique thermoweld technology fuses together each individual bristle, creating a solid head. Thermowelding eliminates spaces between the bristles where harmful bacteria hide and breed. 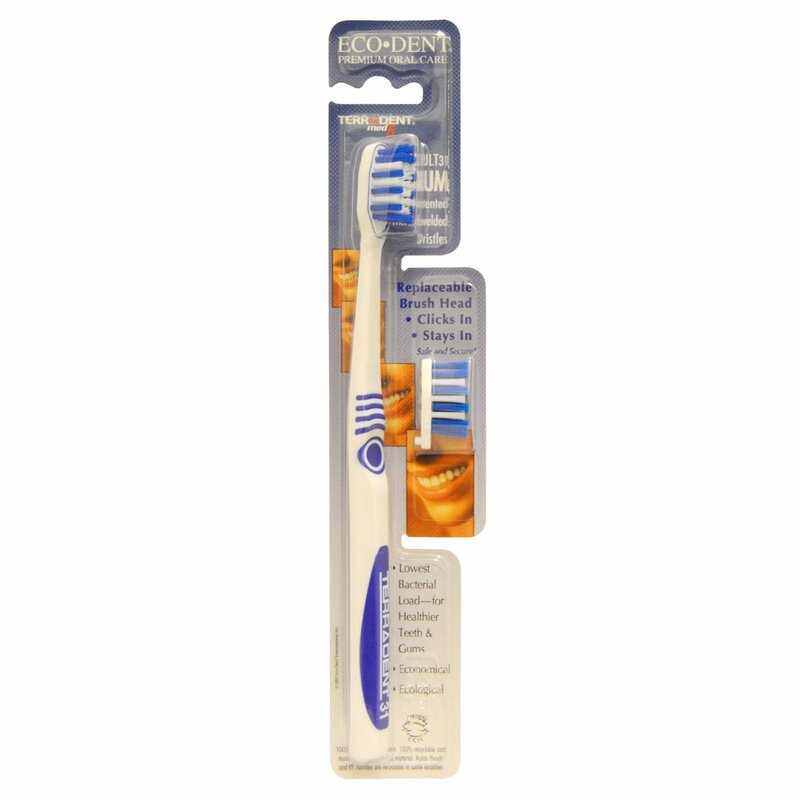 Your bacteria-laden toothbrush can spread harmful bacteria to all parts of your mouth! In tests conducted at a leading Dental School, TerrAdent demonstrated the lowest bacterial load of all brands tested. 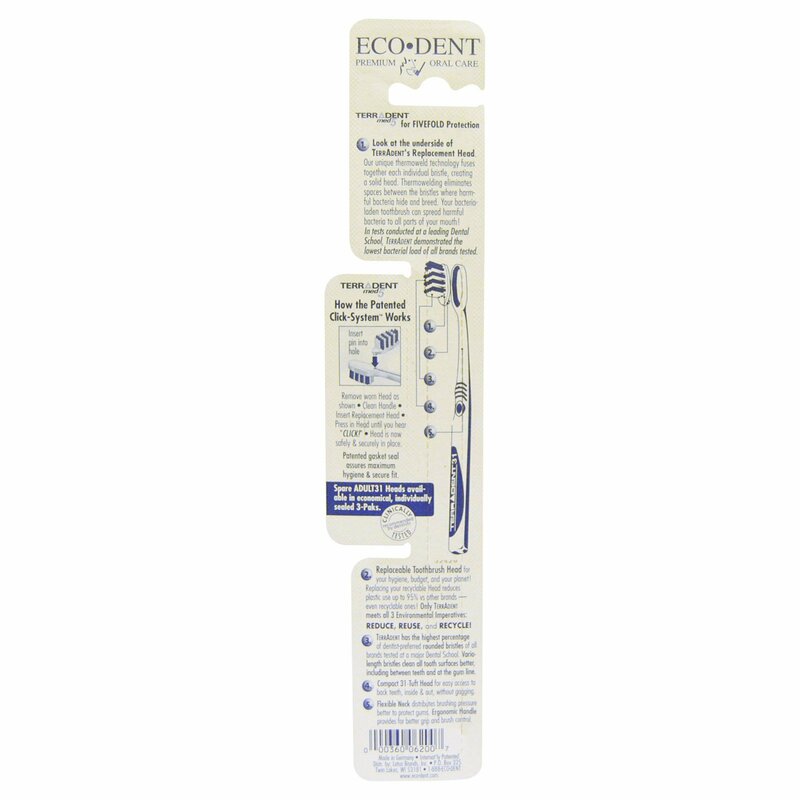 Replaceable Toothbrush Head for your hygiene, budget, and your planet! Replacing your recyclable Head reduces plastic use up to 95% vs. other brands-even recyclable ones! Only TerrAdent meets all 3 Environmental Imperatives: Reduce, Reuse and Recycle!